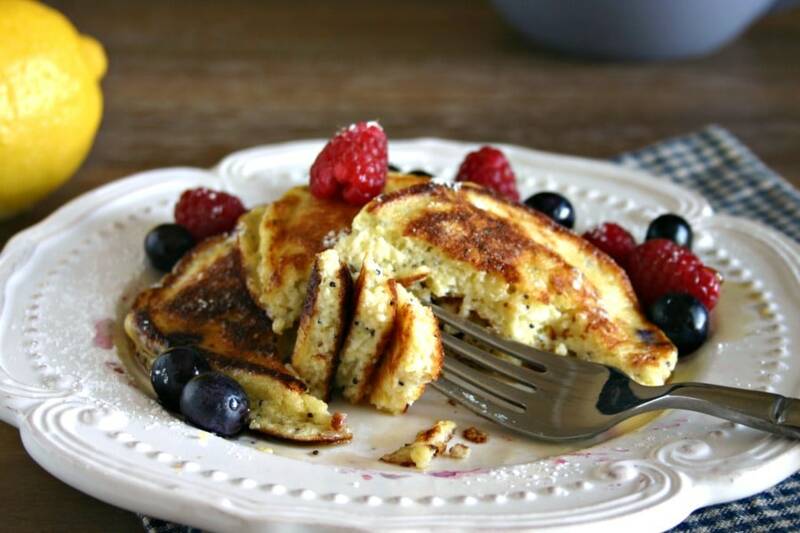 Weekend mornings sometimes call for a little indulgence and that’s exactly what Lemon Poppy Seed Ricotta Pancakes are – delicious indulgence in every bite! And, why wouldn’t they be? The original recipe comes from the chef of the luxurious Four Seasons Hotel in New York and was a regular feature of the brunch menu. These decadent pancakes have a delightful burst of lemon flavor and quite literally melt in your mouth. I believe that’s due to the airy batter which is made from a mixture of ricotta cheese and beaten egg whites – definitely brunch worthy! 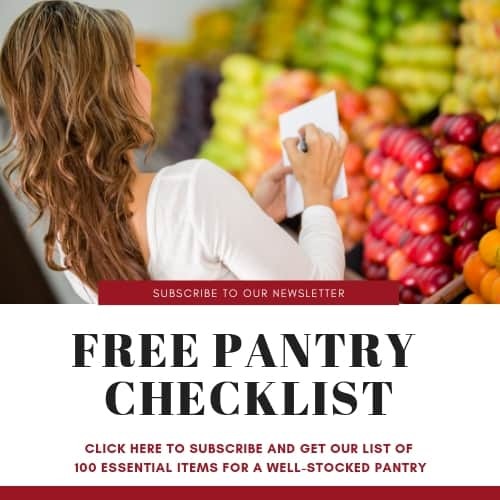 With ricotta cheese as the main ingredient in the batter, the consistency is obviously a bit different than normal pancake batter. The pancakes also cook up a bit differently. With most batters, once the pancake begins to “bubble” it indicates that the first side has cooked to a nice, golden brown and that you can safely flip the pancake to cook on the other side. With these pancakes, however, the batter does not bubble, so you’ll need to gently lift a corner to check the doneness of the first side. Another tip for cooking these is to ladle the batter on the griddle and then spread it gently to the size pancake you desire. 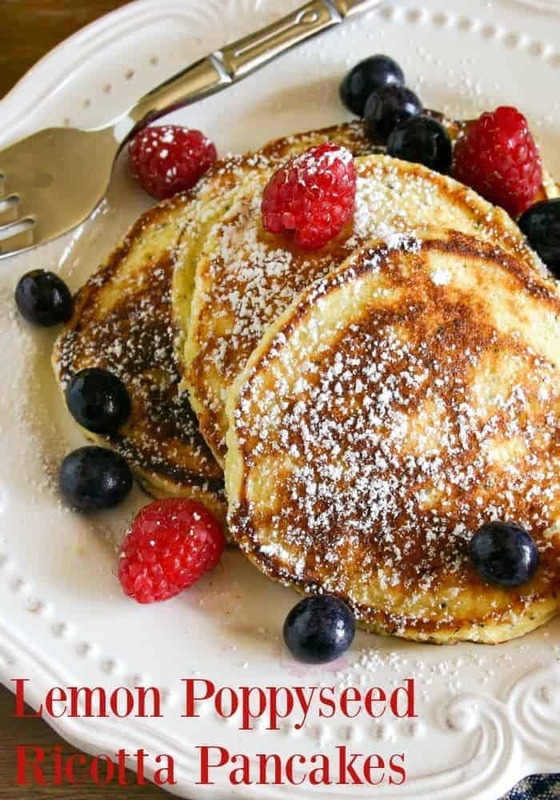 The texture of these pancakes is really light, and again let me emphasize that are melt-in-your-mouth delicious! I added poppy seeds to the original recipe, which really worked well for this dish. 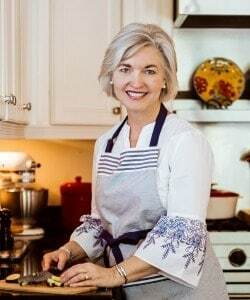 To serve, I suggest garnishing with powdered sugar and layering with fresh berries – perhaps raspberries, blueberries, or even blackberries – and topping with maple syrup, if you like. Enjoy, friends! First, separate the egg whites from the yolks. Whip the egg whites until they form firm peaks; set aside. In a large bowl, whisk together the dry ingredients - flour, sugar, salt, and lemon zest. In a separate bowl, combine the wet ingredients - egg yolks, ricotta cheese, and melted butter - then slowly add to the dry ingredients. Fold the egg whites gently into the batter, until just combined. Heat griddle to medium and lightly butter. Ladle batter onto griddle, gently spreading to desired size. Cook pancakes until they are golden brown on both sides. 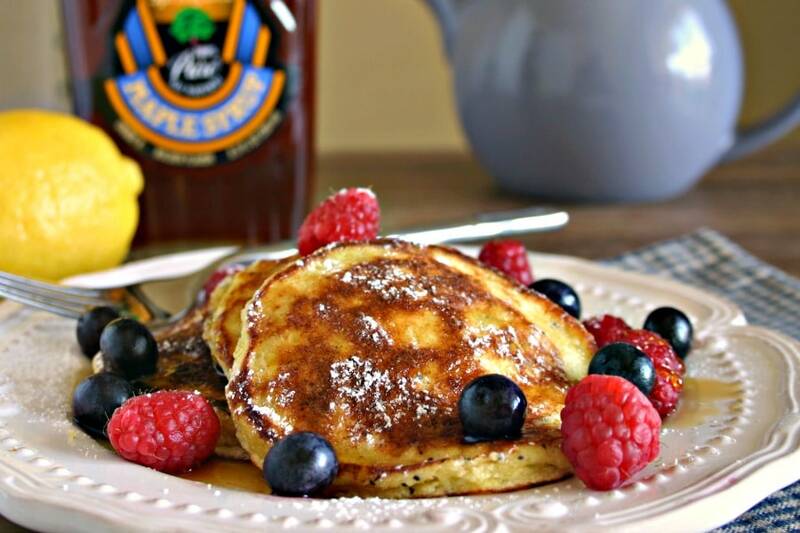 Serve with maple syrup and fresh berries and garnish with powdered sugar, if desired. 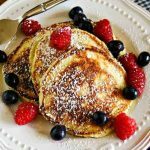 I had some lemon ricotta pancakes at a restaurant ages ago, and let me tell you – they were the most amazing pancakes I’ve ever eaten. Can’t wait to make these at home!! Jenny, I think you’ll love them! These sound so amazing, I love the lemon addition! It really is always so fun to have special recipes for weekend mornings! And wow – if this comes from The Four Seasons, it really most be incredible! Like you said – definitely light and melt-in-your mouth! And oh-so-pretty! Shelley, and they are so easy to make…an added bonus! Oh man! These look like the perfect brunch food! 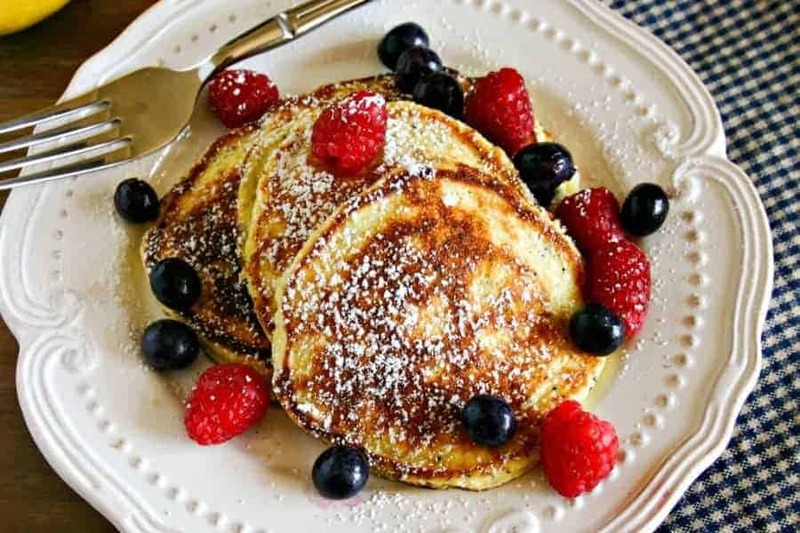 I’ve never had ricotta pancakes but they look and sound divine! Thank you, Marjory! This was my first time for making ricotta pancakes as well, and it definitely won’t be the last. These pancakes look amazing. I love lemon and ricotta but have never had them in pancakes. Lovely photos too.